A grand jury filing may have information about the identities of people accused of using explosives at the Twin Towers on 9/11. According to Architects and Engineers for 9/11 Truth, the 33-page “petition supplement” contains 15 different categories of persons who may have information material to the investigation, including contractors and security companies that had access to the WTC Towers before 9/11, persons and entities who benefited financially from the WTC demolitions, and persons arrested after being observed celebrating the WTC attacks. Thefreethoughtproject.com reports: As TFTP reported in December, for the first time since 9/11 the federal government is taking steps to prosecute the the use of explosives to destroy the world trade centers. 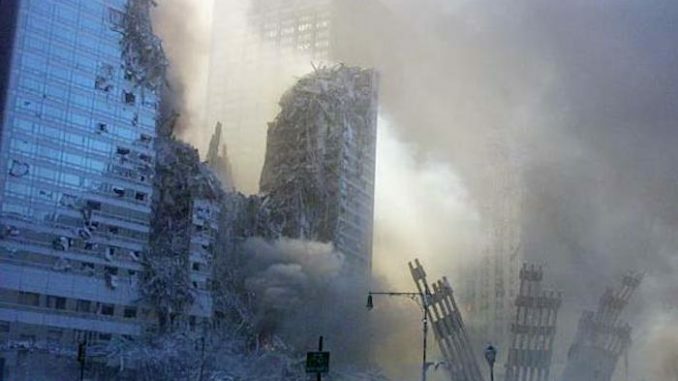 According to the petition, dozens of exhibits were presented as evidence that explosives were, in fact, used to destroy all three world trade centers. Bush, Cheney, Rumsfeld, Rice, Bremer, Pearle, Wolfawitz, Leiberwitz, Silverstein, Bandar, MOSSAD, Pakistan’s ISI, Saudi King, Netanyahu, Parts of the NYPD, Parts of the NYFD, CIA, FBI, American Airlines./……………………………………………………..